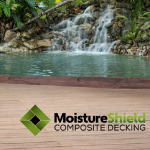 Built to be tough yet beautiful, our durable composite decks outperform and outclass your run-of-the-mill composite, maintenance-heavy wood or plastic-like PVC decks. This innovative vision is why in our long history, we've never had a field failure. And it's why we proudly stand behind the best warranty in the industry.